New York (AFP) - The NBA and YouTube announced Wednesday the launch of a channel for sub-Saharan Africa that will broadcast live games every week and showcase African players' impact on the NBA. 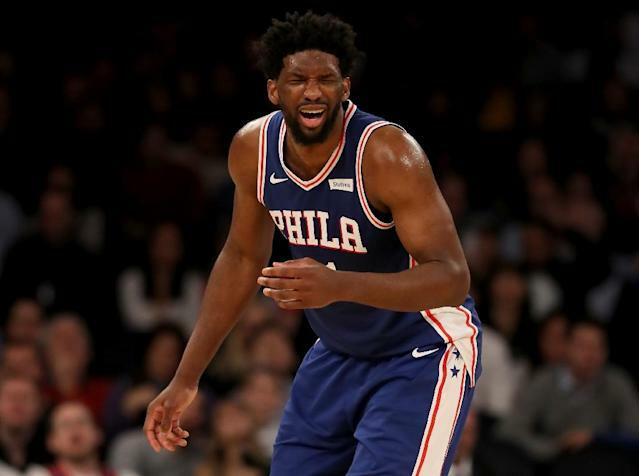 NBA Africa YouTube's first live game broadcasts will take place Sunday with Boston at Charlotte followed by the Los Angeles Clippers at New York. Two live games will be shown each week for the remainder of the 2018-19 season as well as in the playoffs through the NBA Finals. Other original content will include a weekly magazine show, documentaries on current and former African NBA players and the league's efforts to boost basketball in Africa as well as inspire and empower African youth. "As we enter the home stretch of the NBA season and teams fight for playoff positioning, we look forward to bringing the excitement of the NBA to more fans in sub-Saharan Africa while celebrating the NBA's rich history and bright future in Africa," NBA Vice President for Africa Amadou Gallo Fall said. The NBA became the first professional sports league to partner with YouTube and launch its own channel in 2005, a channel that has generated more than 5.4 billion views. There were 13 African-born players on NBA rosters when the season began and more than 80 current or former NBA players are from Africa or have direct family ties to the continent. The NBA and world governing body FIBA announced last month plans for a 12-team Basketball Africa League across the continent.